“We agreed upon main points of the ceasefire and removal of military equipment. We also planned to discuss the special status of Donbas, but did not get there. However, we agreed that Ukrainian military units should move 30 kilometers back,” Karyakin said. According to Leonid Kuchma, the new agreement implies that each side must move their large-caliber weapon systems at least 15 kilometers away from each other. “This way, a safety zone at least 30 kilometers in width will be formed,” Kuchma said. Karyakin gave away more interesting information. He spoke about the “border between Ukraine and DNR-LNR.” According to Karyakin, this “border” will be watched by the OSC at all times. “We achieved some progress with the agreement, despite the fierce arguments,” Karyakin said. Karyakin also confirmed that ban on heavy weapons was also on the table in Minsk. Against this backdrop of Kuchma’s optimism and hard work of LNR’s and DNR’s representatives on peace, the militants near Mariupol show what exactly the cryptic “safety zone” means. Apparently, it means a zone burned out by detonation of GRAD rockets. While the contact group was debating how far the Ukrainian army should move away its equipment, the militants made use of GRAD’s full capabilities and shelled Mariupol’s suburbs Talakovka and Sartana, burning down the fields around them, according to the representatives of Svoboda Party in Mariupol. 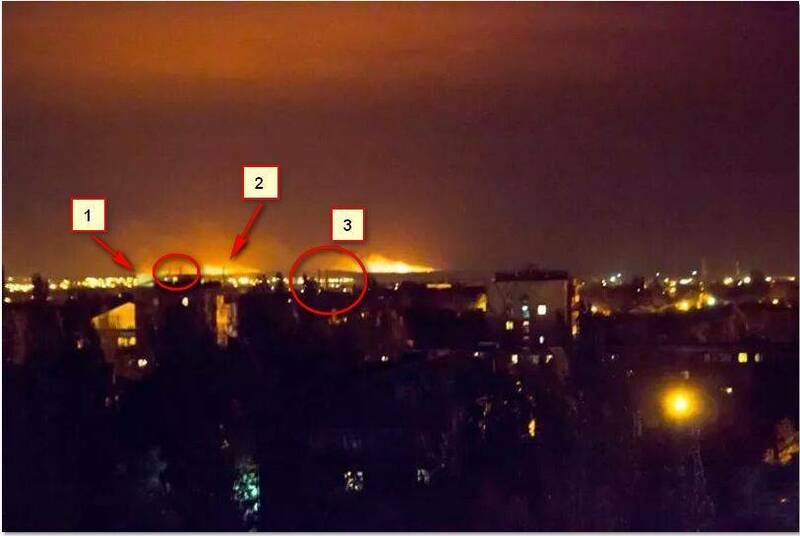 Later, this information was confirmed by Oleh Tyahnybok and the images of burning suburbs appeared in Facebook pages of Mariupol’s residents. Mariupol’s GRAD-made fires. According to locals, the militants are shelling the blockposts on the exit to Donetsk (“Stalevar”) (photo from Roman Romanenko’s facebook). Mariupol’s local opinion on the implementation of the ceasefire.